More than just an organizational tool, your recipe dividers are yet another place in your cookbook to show off your group's unique style. 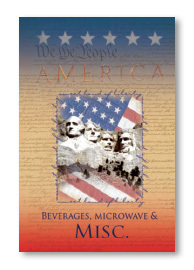 Fundcraft offers, at no extra charge, a large selection of cookbook publishing full color section divider designs to help you create the perfect cookbook. 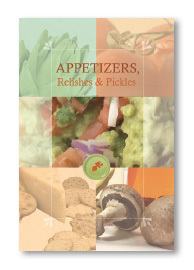 Full Color Dividers— these features are included in the base price of your book, you may choose from many different Fundcraft full-color divider sets, which are preprinted with our seven standard recipe section titles. As an alternative, another option is to design your own custom black and white divider set. Fundcraft has a number of black and white divider designs that can be customized with your own section titles. For pennies more, you can design your own custom multi-color dividers. 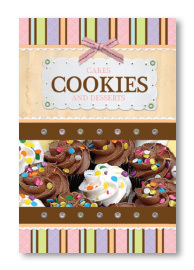 Tab dividers are another deluxe option that will make your cookbook stand out in the crowd and help increase sales. The design options for custom full-color dividers are almost limitless - one photo or drawing per divider and bleeds are included in the price. You may design your own custom black and white divider set. Add tabs to Fundcraft or custom dividers.